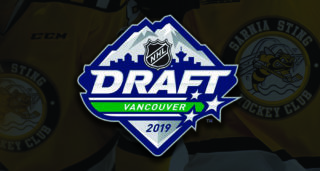 The Sarnia Sting will look to add to their young core of talent which includes 2017 1st round selection Jamieson Rees and 2018 first round selection Jacob Perreault when the 2019 OHL priority Selection opens this Saturday, April 6th at 9:00 AM EST. The annual Draft features 302 picks over 15 rounds. 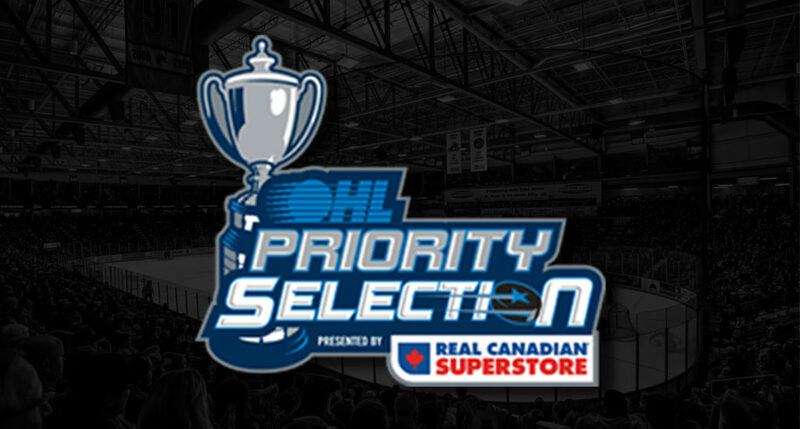 For the 12th straight year the OHL Priority Selection Draft Show will showcase the first three rounds through a live video stream online including live pick-by-pick results. North American players that reside in the province of Ontario, the states of Michigan, Pennsylvania, New York and other designated U.S. states east of the Mississippi River born January 1, 2000 through December 31, 2003 are eligible for selection through the 15 round process this year. 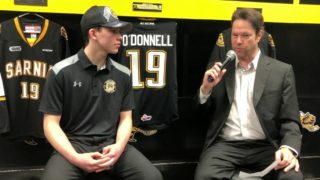 The Kingston Frontenacs hold the first overall selection and are expected to take Forward Shane Wright from the Don Mills Flyers Minor Midget AAA program. Wright, received exceptional status from the Ontario Hockey League allowing him to enter the draft a year early. Wright joins the likes of Connor McDavid, John Tavares, Aaron Ekblad and Sean Day to receive this honour. Click here to see features on some of this years top eligible prospects. The Sting hold a total of 15 picks through the 15 scheduled rounds, kicking things off with the 7th overall selection. See below for the complete breakdown of 2019 Sting draft selections. Last year the Sarnia Sting chose forward Jacob Perreault with their 19th overall selection. The skilled forward did not disappoint with an outstanding rookie campaign that saw him record 30 goals (55 poiunts) a very impreeive stat line for a rookie in the Ontario Hockey League. The Sting received commitments and signed 5 of their top 7 picks from last years selection all of which saw at least one game of action this past season. 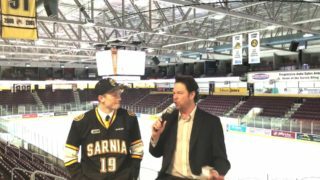 Click here for all 2018 Sarnia Sting draft selections. You can follow the 2019 OHL Priority selection online at ontariohockeyleague.com with the Live Draft show beginning at 9 AM EST.